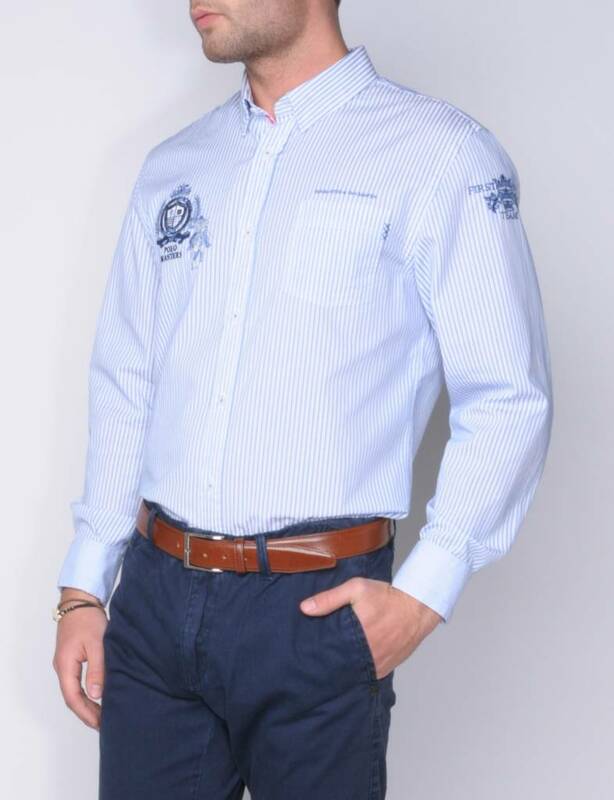 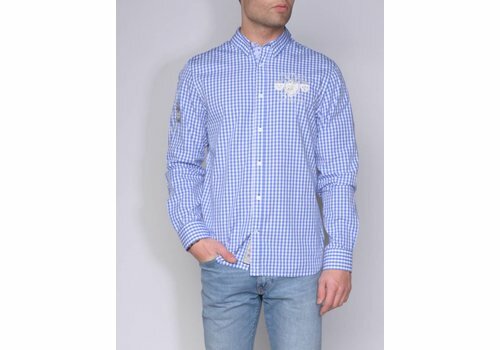 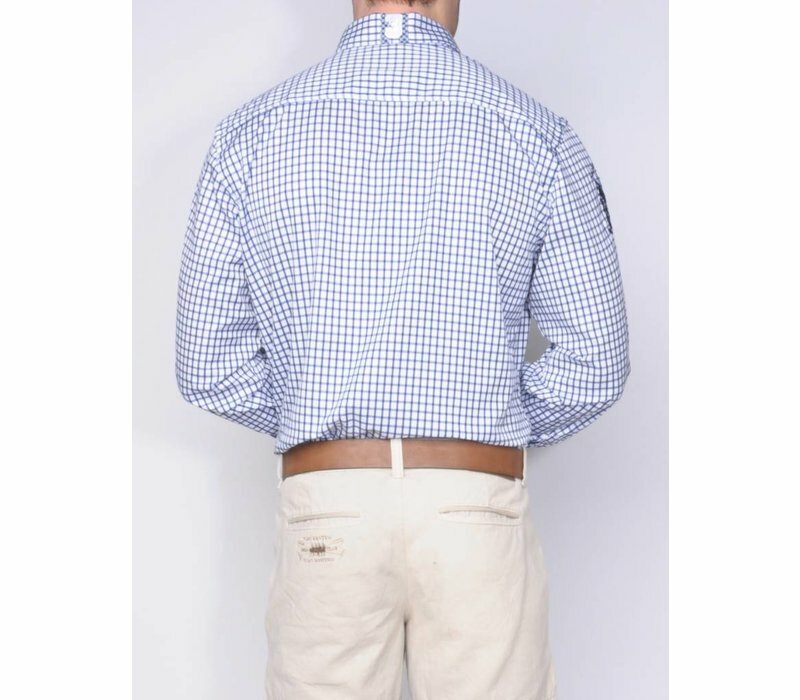 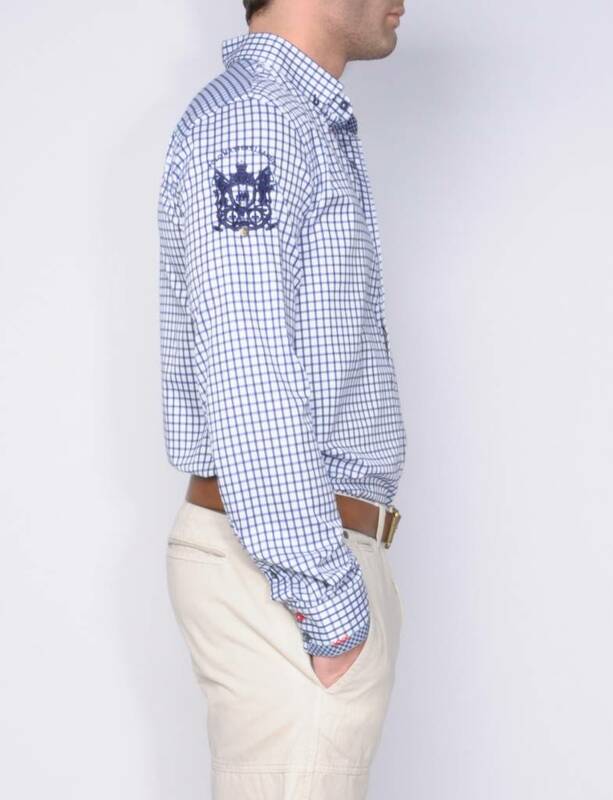 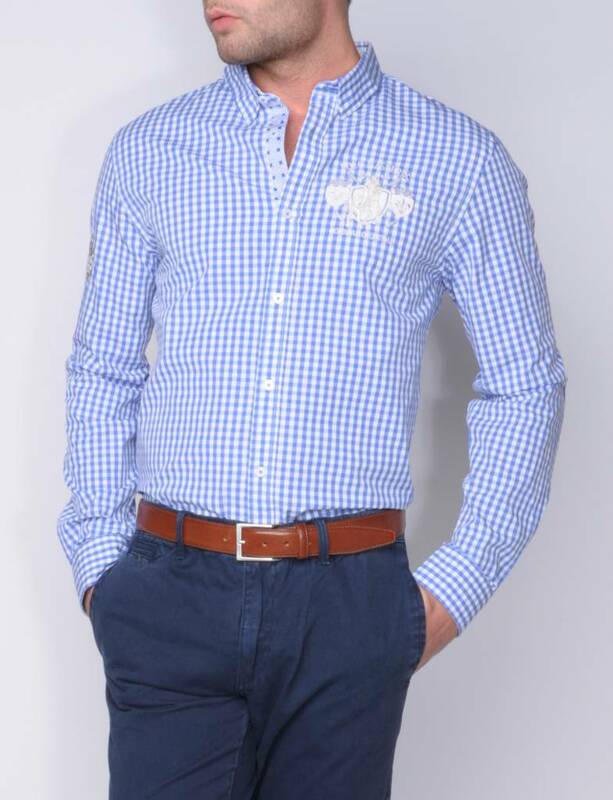 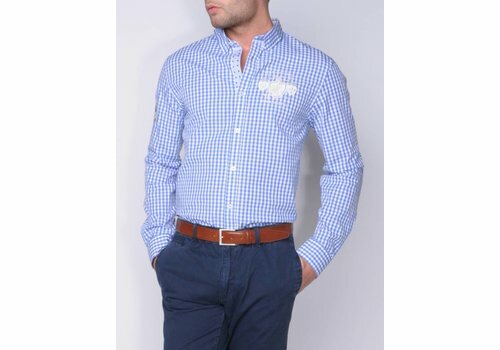 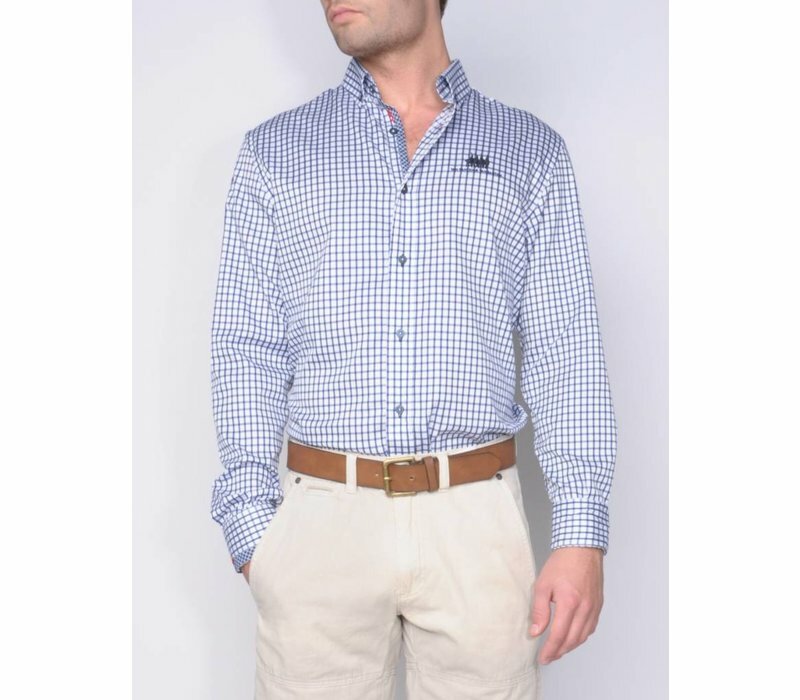 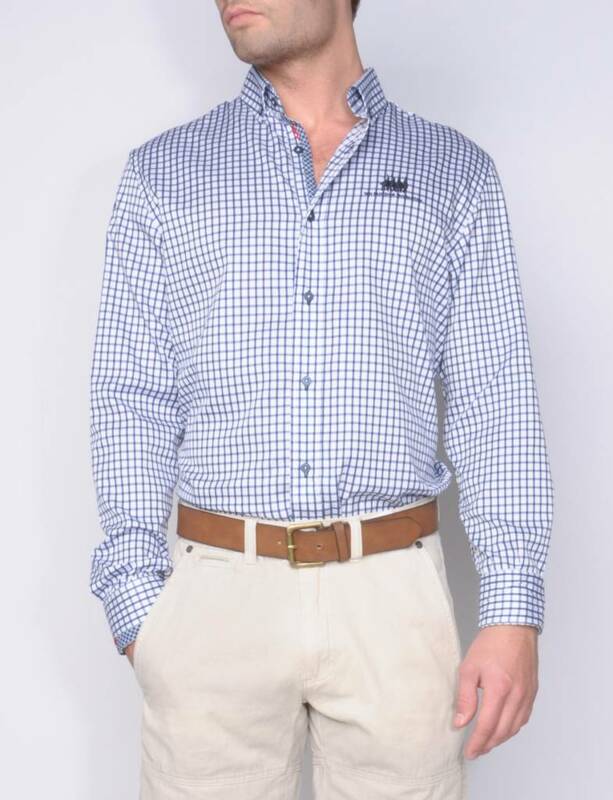 Classic diamond shirt in royal blue and white. 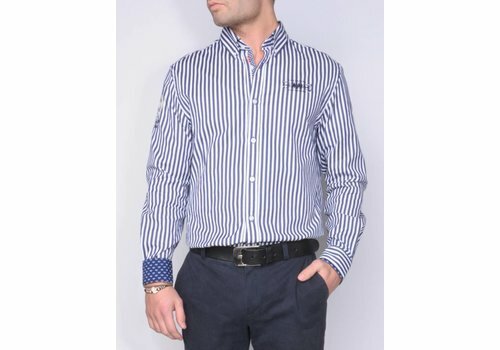 Trendy created by the use of contrast fabrics in royal blue designs in inside collar and closure. 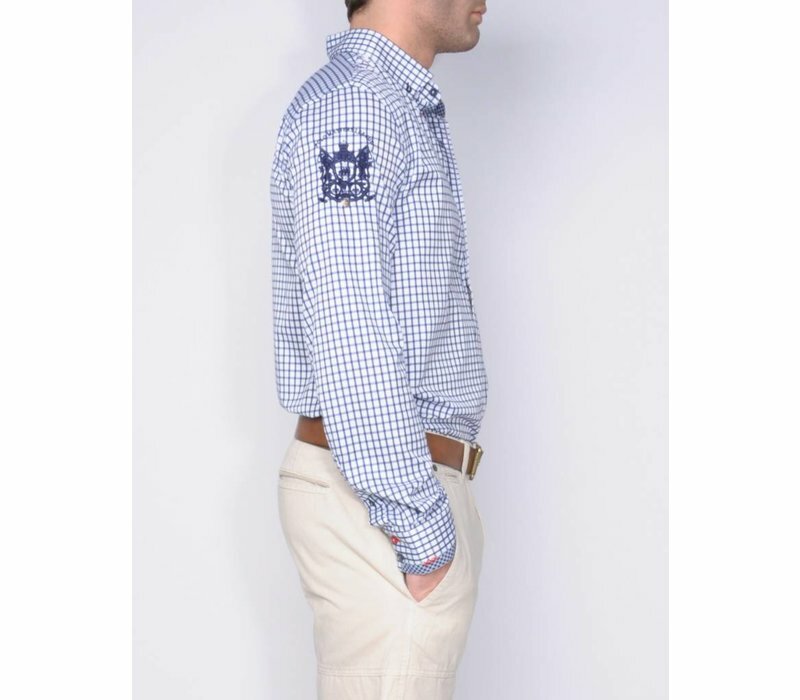 Details on back collar and cuff. ' 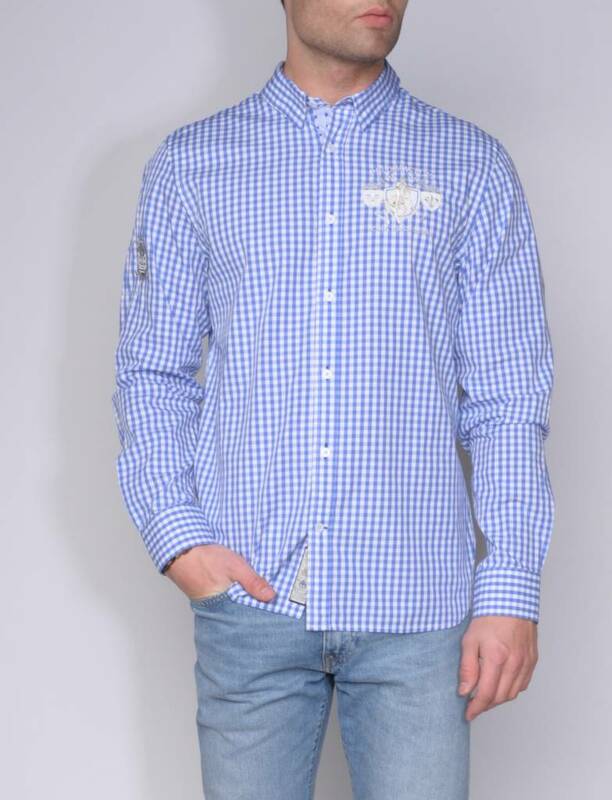 Polo related ' embroideries on front and sleeve and ' blind ' button down. 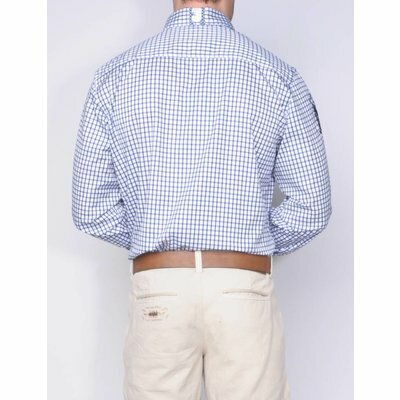 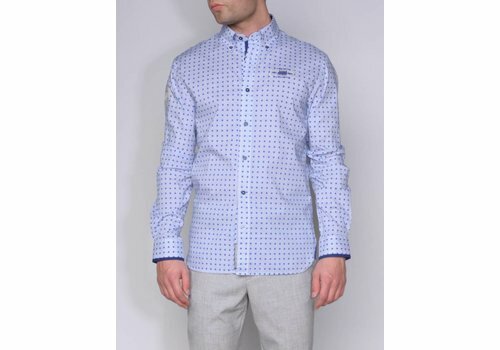 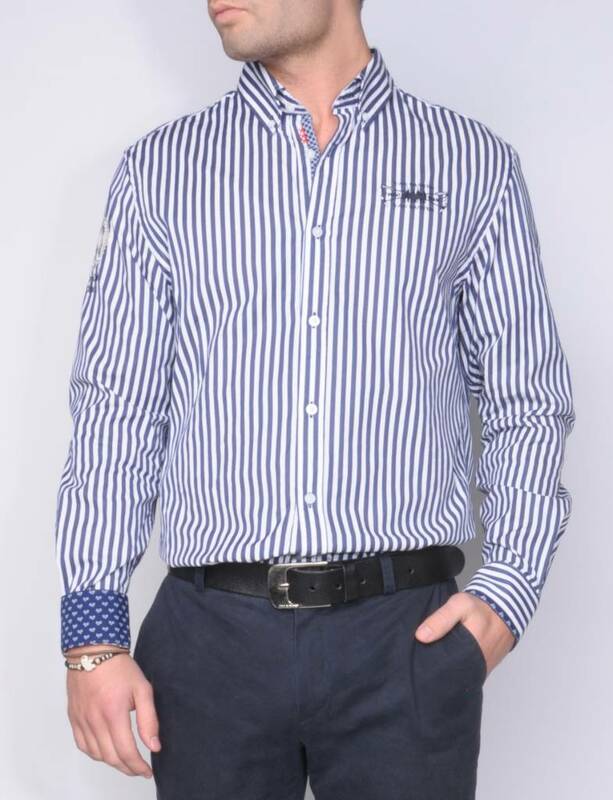 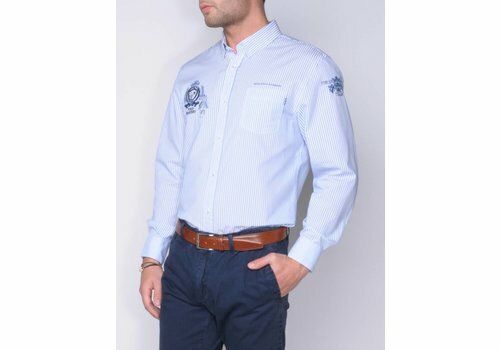 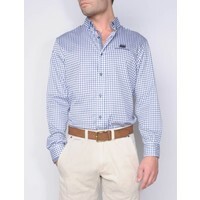 Shirt in a white/royal blue design with button down. 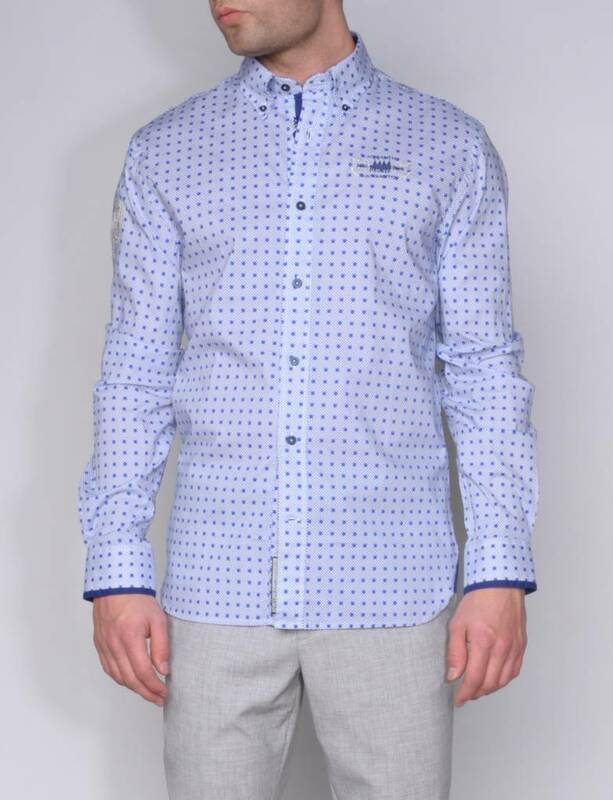 Contrast fabrics on inside collar, cuffs and closure. Logo embroidery on front, cross embroidery at closure.On the sleeve a Polo related weapon embroidery.